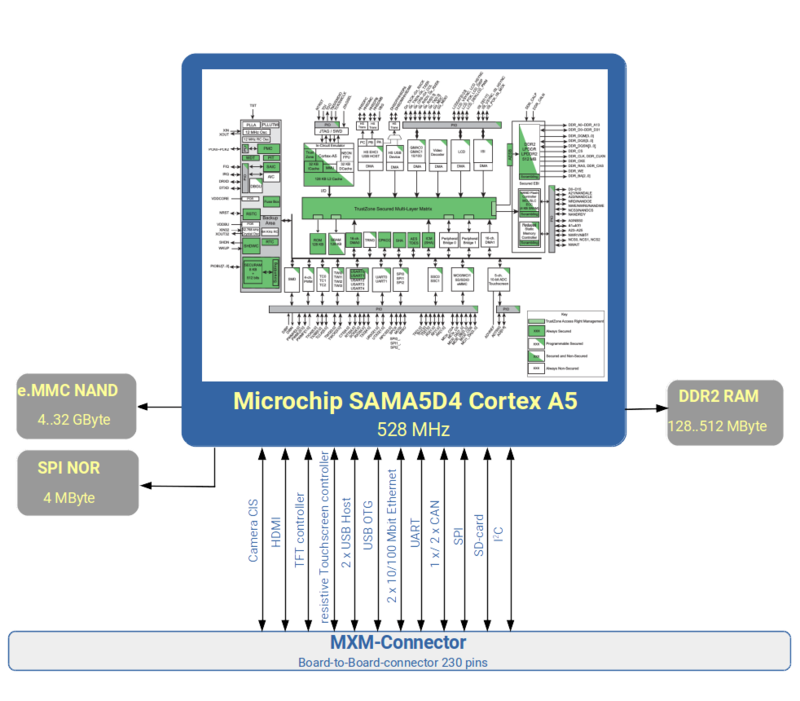 Microchip’s SAMA5D4 MPU is ideal for any high-performance, secure, and cost-sensitive industrial application. High-speed computing needs are supported by ARM Neon and 128kB L2 cache which increases the overall system performance. The SAMA5D4 is an ideal fit for low-cost user interface applications that require video playback. The high-grade security features allows you to protect any system against counterfeiting and software theft, and allows you to securely store and transfer data. 720p hardware video decoder supporting H264/263, VP8, JPEG. TRNG, SHA, tamper detection pins, memory content protection (secure key storage).